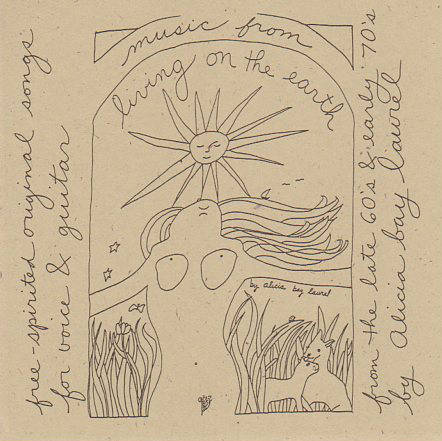 Posted on January 8, 2007 by Alicia Bay Laurel	in Blog. Joshua trees against a sunset sky in Joshua Tree National Park, in the high desert of the Little San Bernardino Mountains just east of the Coachella Valley (where Palm Springs is) in Southern California. 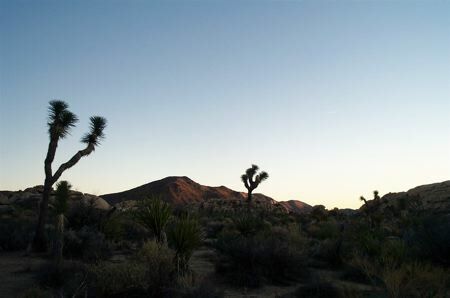 Joshua trees (yucca brevifolia) are giant members of the lily family. Legend has it that westward traveling Mormons named the Joshua tree for its arms upraised in supplication to the Divine, like a biblical hero. Map of the hiking trails in the northeastern quadrant of the park, where the amazing rock formations are. 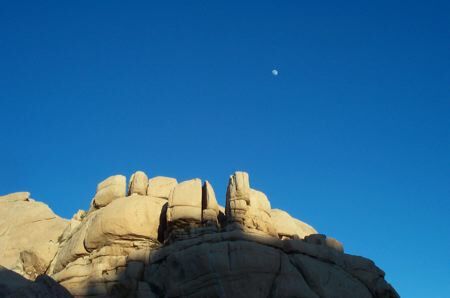 A typical rock formation in Joshua Tree National Park, with a gibbous moon above, near Barker Dam, where I hiked one afternoon in late December. Three drawings offered by the park service at Joshua Tree National Park, with a geologist’s explanation of how the rock piles occurred. To quote: “The present landscape is essentially a collection of relic features inherited from earlier times of higher rainfall and lower temperatures.” 100 million years ago, when the crust of the earth oozed upward and cooled, the underlying granite layer developed vertical, horizonal and diagonal fault lines, which were weakened and exaggerated by water percolating downward through them. Gradually the moisture turned some of the granite around the fault lines to clay, which was gradually washed away by flash floods, exposing piles of huge eroded boulders. 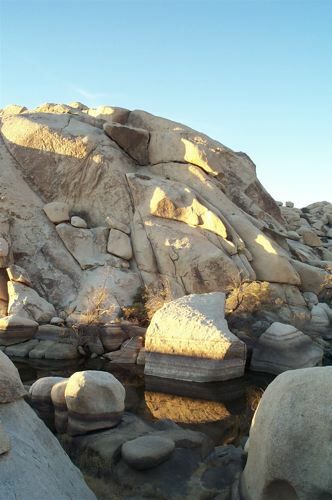 Even though Joshua Tree National Park is extremely arid, below lies a water table from which springs and oasis emerge. 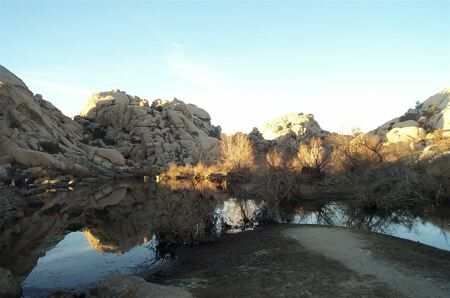 Barker Dam trapped the water of one such spring, creating reflecting pools among the rock formations. Where water lies, grasses grow, rabbits graze, and mice come to eat the seeds. Bugs spawn, birds come to eat the bugs, reptiles come to eat both, and carnivorous mammals come to eat the mice, rabbits, reptiles and birds. A cascade of biodiversity springs from even a small amount of water in a wild environment. 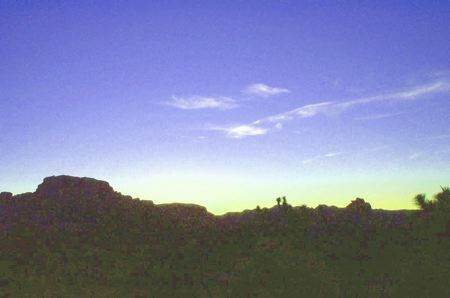 Dusk at Joshua Tree National Park. I stood listening to the deep quiet here.